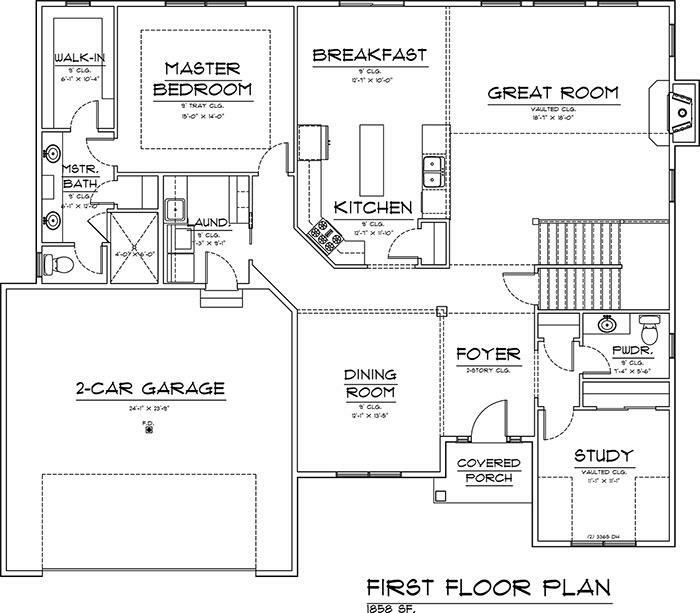 Functional yet highly appealing floor plan for today's active family and perfect for entertaining. 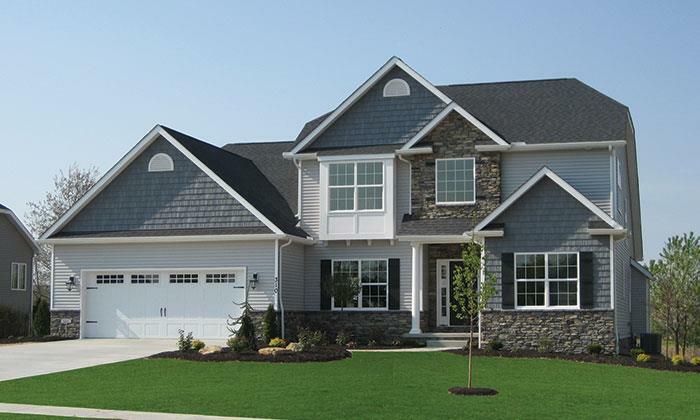 Two-story great room features vaulted ceiling and stone fireplace, open to the kitchen and breakfast area. 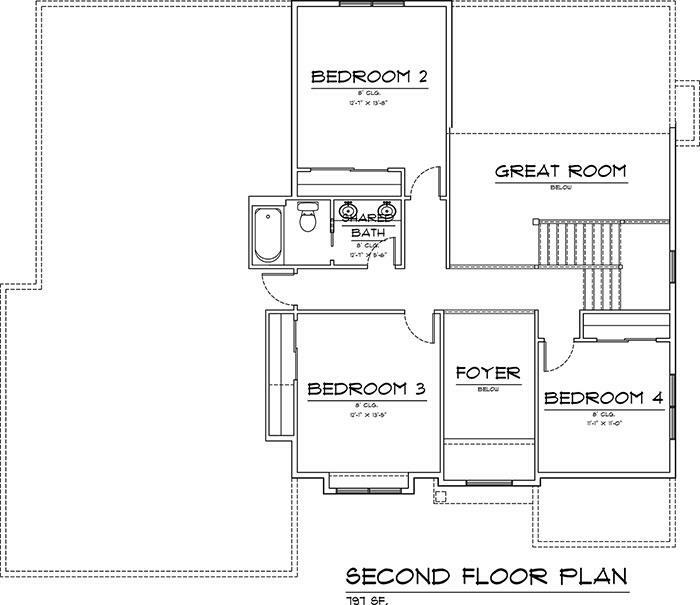 First floor master plan with tray ceiling, 4x6 custom tile shower and large walk-in closet. Private study off the two-story foyer has vaulted ceiling and is a perfect home office. Upstairs, the hall overlooks the two-story great room. Three bedrooms share central bath.